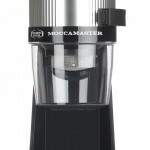 Moccamaster KM4 TT coffee grinder is one of the blade grinders. It is handmade in the heart of the Netherlands, and certified by the specialty coffee associations of America and Europe (SCAA/SCAE) and granted the European coffee brewing center’s (ECBC) seal of approval meeting their strict “golden cup” quality guidelines. Powerful motor, attractive design and great durability are its greatest virtues. This is a very simple grinder with a on/off button only. The grinder is made especially for drip coffee and compliments any Technivorm drip brewer very well. For the price of around 200$, it is definitely worth some attention! This is a blade grinder with stainless steel blade. 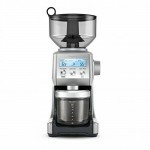 Its upside-down configuration grinds the beans to the perfect size and allows the ground coffee to drop immediately into a collection container below, away from the heat of the blades. The grounds immediately fall away from its stainless steel blades into the collection container below. When grinding with a blade grinder there is a danger of ending up with grinds which are inconsistent in size – from powder to chunks. But Moccamaster KM4 TT is approved by the European Coffee Brewing center in Norway so it has to meet a certain grind consistency. The grinder has a turbo motor with fan cooled grinding chamber prevents overheating of beans. Upside-down configuration grinds the beans to the perfect particulate size for even extraction and full, intense flavor and aroma. The grounds immediately fall away from its stainless steel blades into the collection container below. It does not heat up during grinding. The grinder was hand made in The Netherlands using only the finest materials available and individually tested. It is intended for use in the United States and Canada and is built to United States electrical standards. Integrated catching system eliminates unwanted large particles from staying in the grounds. Company advises to use only for grinding whole roasted coffee beans. Has a capacity of 14 ounces or 400 grams. The grinder features auto delivery of the beans to the grinding chamber. Hopper is made of aluminum and is not letting any light in, which is good for storing beans. The grinder is very simple. It has only on and off switch made for grinding. 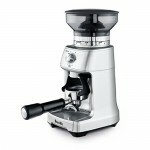 It does not have different grind adjustments – Technivorm designed optimal grind adjustment already. It is designed particularly for drip coffee. The Technivorm KM4TT is not built to achieve fine espresso consistency. Lack of grind settings is a minus. But on the other hand it is much simpler to use because of that. Housing material is made of plastic and hopper is made of aluminum. Blades are made of stainless steel. The company is famous for producing long-lasting, reliable, energy efficient, and recyclable products. So also the grinder is said to have a good durability. This grinder seems to be a little louder than the most although customers so far did not make many complaints about noise. It is recommended to regularly clean the outside of the mesh and grinding chamber with a cleaning brush. The plus side is that it is easy to clean and needs less cleaning than burr grinders. The product is supported by a 5-year warranty. For this product not many customer reviews are available. What reviewers emphasize is that the grinder is only made for brewing drip coffee and one should therefore take into account that it does not have many grind adjustments. They also mention that it is great in combination with Technivorm coffee maker. The product is priced on Amazon for around 200$. The price, as usual for Amazon fluctuates around that value. It is a blade grinder, so it might not be so easy to be compared with burr grinders. 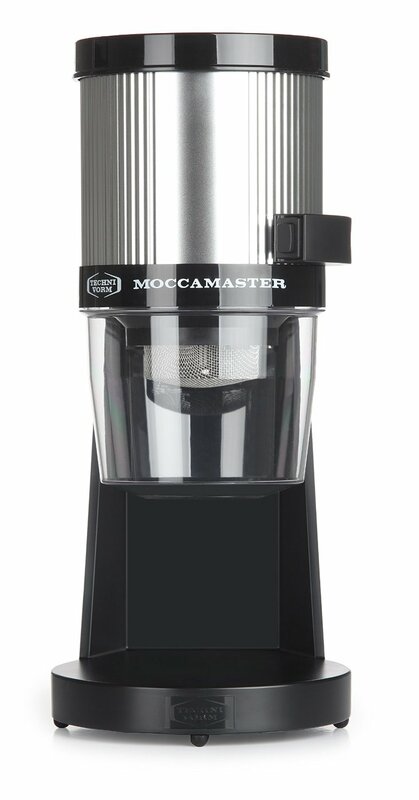 Although there are less blade grinders on the market because people tend to like burr grinders more, Moccamaster KM4 TT coffee grinder cuts the edge! 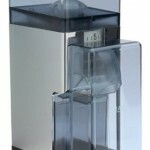 Its attractive design and the fact that it is handcrafted in The Netherlands assure its quality. 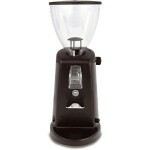 If you are looking coffee grinder for drip coffee in the price range around 200$, this could be a good choice for you.